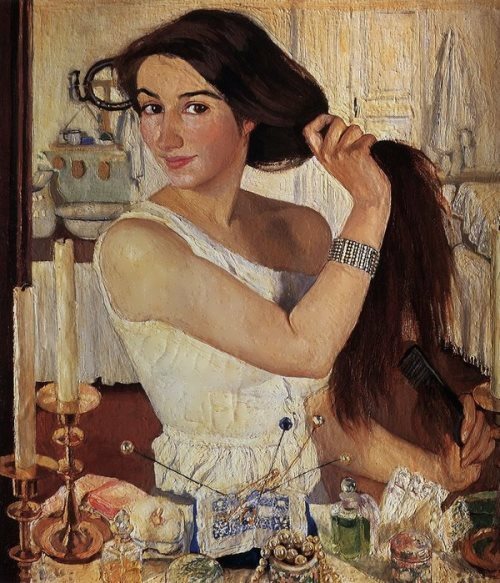 From 1912 to 1914 she lived in Paris and studied at the Academie de la Grande Chaumiere. 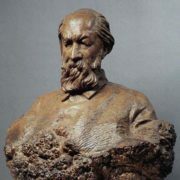 There French sculptor Antoine Bourdelle was her teacher. 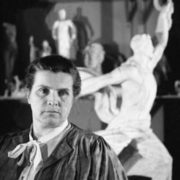 Later Vera traveled to Italy, studying Renaissance sculptures and paintings. 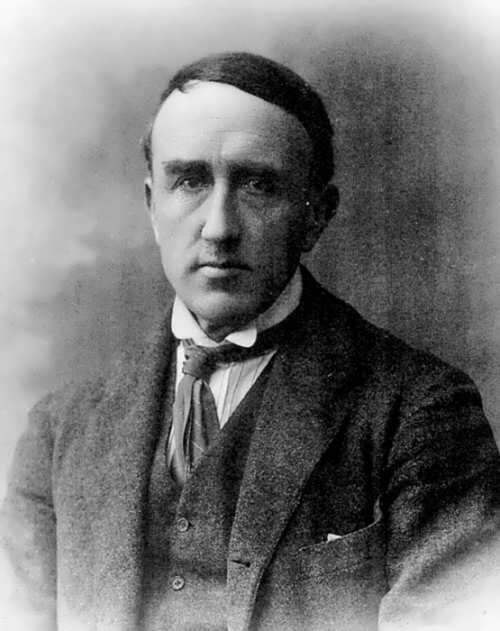 World War I began. 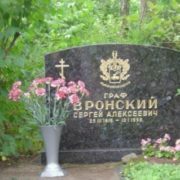 Vera returned to Russia and worked as a nurse. 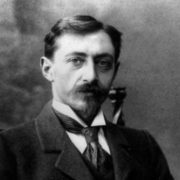 Her first love was Alexander Vertepov, a Bourdelle’s student. He went to the front and was killed in one of the battles. The girl was very depressed and started to work on the sculpture Pieta (dead soldier and his mourning bride). Alas, it was ruined. Then Vera fell in love again. 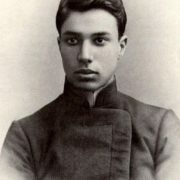 She met young doctor Alexei Zamkov in 1914, just before his departure for the front. Two years later, he returned home and soon they got married. 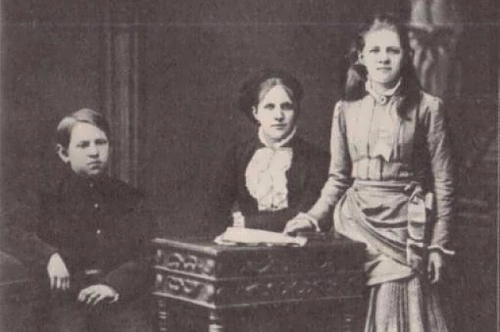 After the revolution, almost all Vera’s friends and relatives emigrated. Her sister married a Frenchman and also left. But Vera and Alexei stayed in Russia. 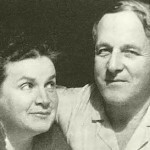 In 1920, Vera gave birth to their son Vsevolod. 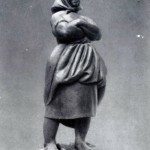 In 1934, her sculpture Peasant Woman (created in 1927) was exhibited at the International Exhibition in Venice. 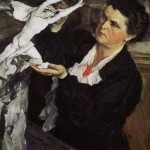 After World War II the bronze Peasant Woman became the property of the Vatican Museum in Rome, and for the Tretyakov Gallery Mukhina made a copy of this sculpture. In 1937, Vera became world famous. 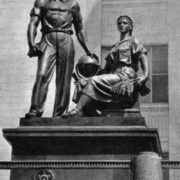 Her monument Worker and Collective Farm Girl was set in Paris at the World Exhibition. 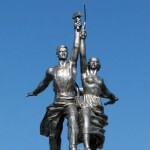 In 1939, the monument was installed near the northern entrance to the Exhibition of Economic Achievements in Moscow. 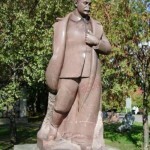 In 1947, the sculpture became the emblem of the film studio Mosfilm. 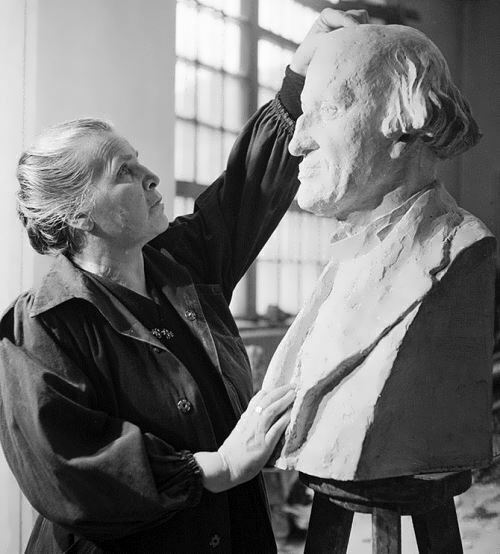 From 1938 to 1939 Vera worked on many sculptures – Internationale, Flame of the Revolution, Sea, Earth, Fertility, and Bread. 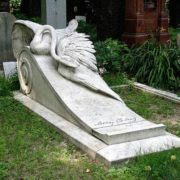 The last one was the only composition made by herself, others were made after her death. 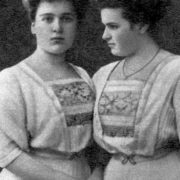 During World War II Mukhina worked. She finished portraits of Russian dancers – Galina Ulanova and Maria Semenova. 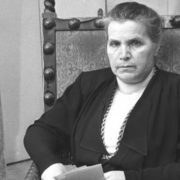 At the end of the 1940s Mukhina was interested in glass. 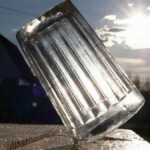 She invented the symbol of Slavic national character – faceted glass. In 1943, she headed the Art Glass Workshop in besieged Leningrad. They say Vera invented her faceted glass in collaboration with the artist Kazimir Malevich, author of the famous Black Square. 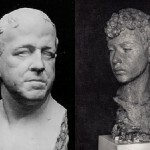 In 1948, Mukhina created vases, made portraits in glass. 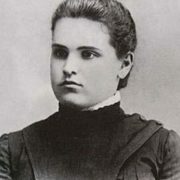 She was a friend of academician Kachalov, creator of optical glass. 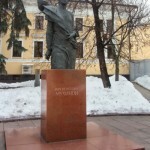 Her monument to Maxim Gorky appeared in Moscow in 1951. 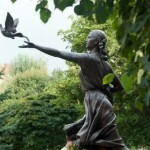 The sculpture We Demand Peace was created in the early 1950s as a protest against the war in Korea. 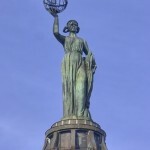 The sculpture Peace on the roof of the planetarium in Volgograd was her last one. 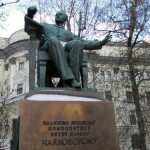 Monument to Peter Tchaikovsky was established in 1954 after Mukhina’s death. 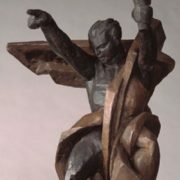 Mukhina was one of the greatest sculptors of the twentieth century, who created sculptures – symbols of the Soviet state. 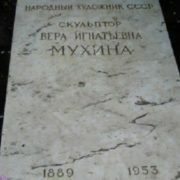 She died on October 6, 1953 in Moscow and was buried at the Novodevichy Cemetery. 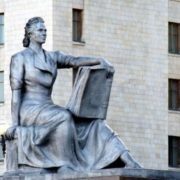 Monument to Vera Mukhina in Moscow was made by People’s Artist of the USSR Anikushin and Honored Architect of the RSFSR Hadzhibaronov.